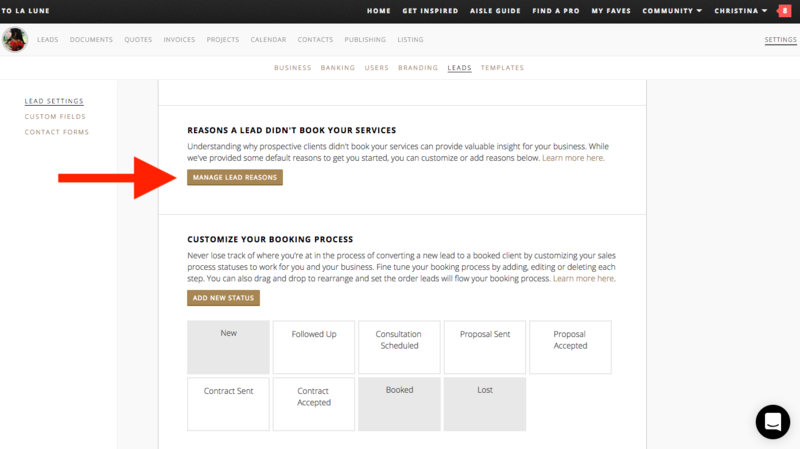 You can customize your list of reasons to better suit your business and track important data to help you increase your booking success. Understanding why prospective clients didn't book your services can provide valuable insight for your business. While we've provided some default reasons to get you started, you can customize this list. 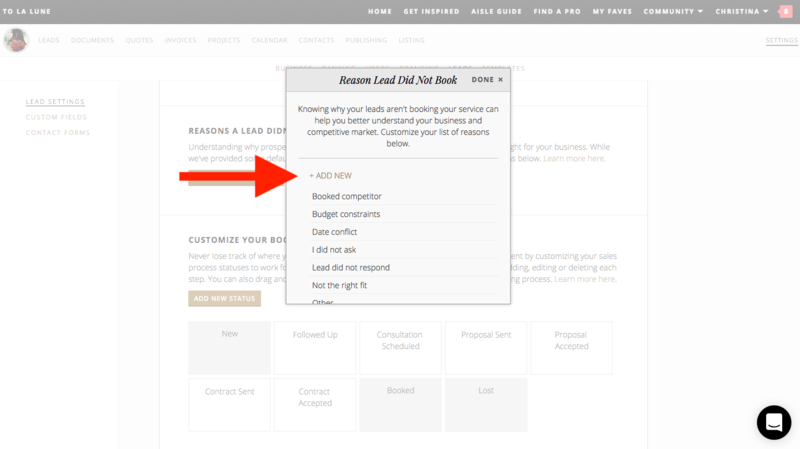 To get started, head on over to the Settings tab and click on Leads, then scroll down to the Reasons A Lead Didn't Book Your Services section towards the bottom, then click on the gold Manage Lead Reasons button. Click on the gold + Add New link to add a new reason. Click on the gold trash can icon that appears when you hover over the reason you'd like to delete. 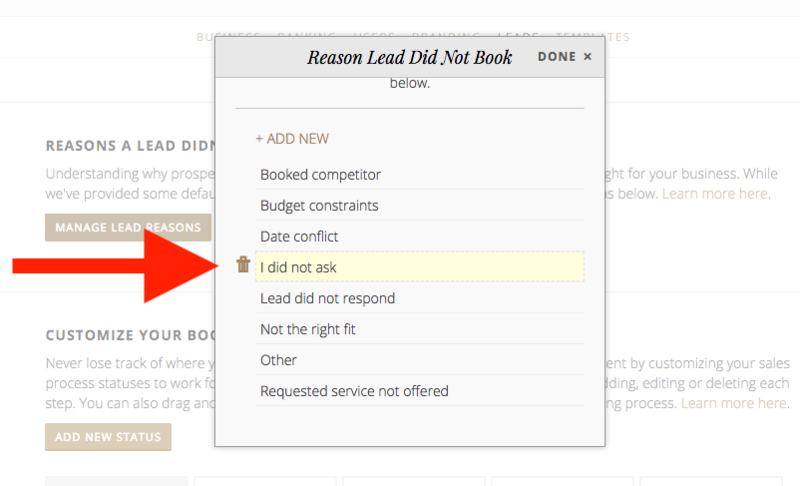 Side note: We're looking forward to adding reports so that you can see a top level overview of why you're not booking certain leads to help you and your business - stay tuned! To edit, just click on any of the existing reasons and edit.